House and Senate leaders approve spending $17 billion to improve services at the Department of Veterans Affairs by leasing new facilities, hiring more clinicians, and paying for care delivered outside the VA for veterans who can’t get timely appointments. 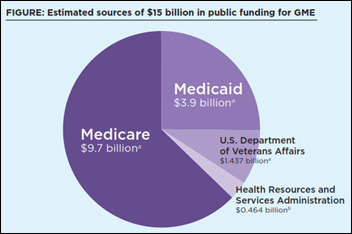 Most of the “cost of war” funding goes straight to the $18 trillion national debt. In related news, former Procter & Gamble CEO Robert McDonald is unanimously confirmed as VA secretary. From Legume Enumerator: “Re: Cerner earnings call. You missed the laughter toward the end of the call when EVP Zane Burke said that EMRs that don’t interoperate are borderline immoral. This supposedly ’open’ versus supposedly ‘closed’ systems debate that is beginning to surface in Congressional testimony and now on investor calls will become the battle cry for why the kids from Wisconsin should not be allowed to win the DoD (or any other, for that matter) contract.” “Open” has become a marketing term, jumping the shark when since-deposed Allscripts CEO Glen Tullman confidently and repeatedly declared that all of the company’s potpourri of acquired systems are open and interoperable because they all run on Microsoft SQL (showing little widespread openness, not counting Glen’s mouth). It is indeed worrisome when politicians start using the word as though they understand it and aim legislation accordingly. I challenge readers thusly: what core set of published standards or capabilities must a given EHR support to be considered open? We need to put some collective thought into this. We take all customer concerns seriously and address them directly to ensure our customers are delighted with our products and services. As a leader in our field, Midas+ is always working on developing new products that will enhance customer satisfaction and help improve the quality of care. From Headcount Reduced: “Re: Siemens. You missed the 7/25/14 layoff in Malvern. It wasn’t just contractors and consultants. Rumor is that 200 employees were impacted.” Unverified. From Stocky Lad: “Re: Health Evolution Partners. What was CalPERS thinking to put $700 million into Brailer’s first foray into private equity? It pisses me off as a California taxpayer. I assume HEP’s Summit will continue regardless since they were considering spinning it off even before this latest news. It’s a super event.” Enthusiastically endorsing the deal on behalf of CalPERS back in 2007 was its CEO, Federico Buenrostro, who was fired in 2008 and just pleaded guilty a couple of weeks ago to accepting bribes, defrauding workers and retirees, and obstructing SEC regulations. 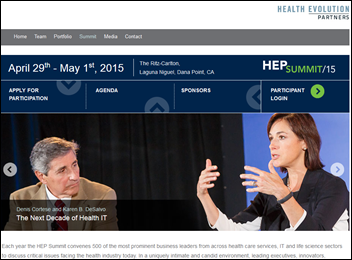 The next invitation-only HEP Summit is in April 2015. Some of its sponsors are Emdeon, McKesson, Optum, Walgreens, Healthagen, Oracle, and WellPoint. This year’s agenda featured a panel of past and present National Coordinators: Blumenthal, Brailer, DeSalvo, and Mostashari. From ThanksForPlaying: “Re: Norbert Fischl, CEO of CompuGroup Medical US. Has been removed from his position by Germany. His tenure, similar to that of his predecessors, was just over a year.” Verified. I interviewed him a couple of months ago. My surprise is minimal. Does the remote client operations (RCO) data center belong to the suitor? Allegra, Invision, and Soarian customers would become service level agreement fodder – positive revenue – and customers of the first two would be targeted to replace their aging software. Siemens US clients plus Cerner sites would push Cerner past Epic in size. 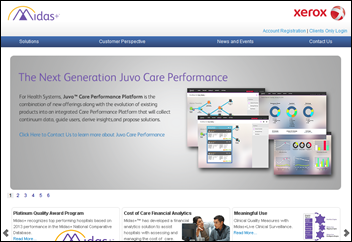 Soarian sites are happy with their financials, which are better than Cerner’s. Siemens has a better and more stable international presence (see NHS Cerner replacement by CSC’s iSoft). Cerner has made some progress internationally, but regional capitation (most offer socialized care) and ease of implementation is Cerner’s burden. Invision sites love their accounts receivable – tough to convince happy CFOs. Soarian clinicals / financials could complement Cerner in the community hospital space where Cerner has historically been too expensive, specifically implementation support – complex integration. Siemens MobileMD is a sound HIE platform, Cerner would be better at packaging and selling it. We like Cerner’s ACO and population management approach, so CareXcell would be gone, or at least have a bake-off with Cerner’s PM solution, and Cerner’s solution would win because they have an install base. Siemens Intelligence could play a role as long as Soarian is not demolished. Love the Soarian business process manager — the rules engine is quite impressive. Siemens’ EDMS is better than Cerner’s and it is standalone. Siemens RIS — legacy, so that is not a question. Doubt if a proprietary PACS would be needed Cerner has an acceptable image management solution, but neither company is popular in radiology or cardiology. Siemens Lab is a legacy system that customers love. KLAS rating is high even though they do not really manage pathology very well (lab is standalone). Siemens Pharmacy and MAK works with Soarian – different platform, but functional. A keeper if there is a willingness to port the technology to the same Soarian foundation (pharmacy not so standalone). Cerner Millennium is difficult to install. Consultants who install Soarian do not have the same complaints. Cerner services are about as effective as Siemens services – they both lose equally to consulting firms that are or have a lot of ex-Cerner / Siemens implementation and project management personnel. Cerner could simply acquire Siemens for the client base and would, as most acquirers do, have a heavy hand in redundancy. However, Siemens has a surprising number of seasoned veterans if the transition is handled well and they don’t all run for the hills. Soarian is not worth burning, but acquisitions for market share are rarely kind. Usually they are disruptive to a point of discontent. Siemens need to prove a profitable community hospital IT model since Cerner hasn’t played well there. Over 3,000 hospitals have fewer than 200 beds and perhaps a Cerner Soarian campaign could help those most negatively affected by ACA. Both Cerner and Siemens have had challenges in the ambulatory space. Cerner touts its progress in ambulatory care, but it’s mostly IDNs with ambulatory care centers that serve as feeding conduits to the hospital. Siemens hasn’t made the commitment to acquire or build a viable product. The silver bullet for Epic is scalability. Even though Epic can control without collusion their pricing model, they cannot be the only choice for hospitals with fewer than 200 beds. 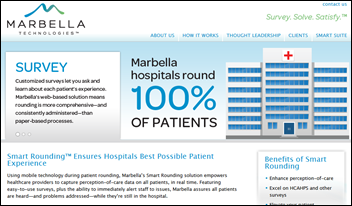 GetWellNetwork acquires patient rounding and satisfaction system vendor Marbella Technologies. 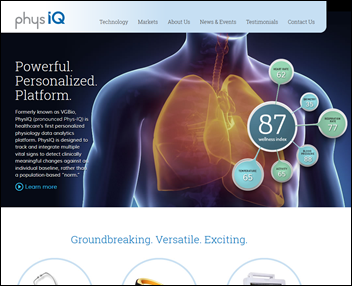 Personal vital signs analytics software vendor Naperville, IL-based VGBio changes its name to PhysIQ and raises $4.6 million in Series A funding. The VA Center for Innovation is piloting the software in its VitaLink program, which warns caregivers of developing health issues by analyzing information from sensors worn by patients at home. 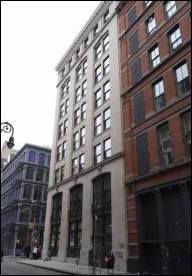 Oncology data vendor Flatiron Health moves its headquarters to a newly leased 15,000 square foot office space at 96 Spring Street in New York City. 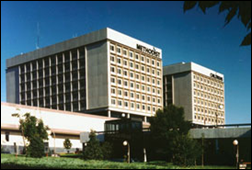 Nebraska Methodist Health System (NE) selects Strata Decision’s StrataJazz for decision support, cost accounting, operating budgeting, management reporting, and productivity improvement. Advocate Health Care (IL) will deploy vendor management technology from Connance. 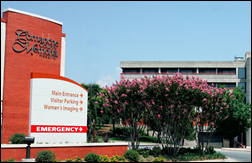 Comanche County Memorial Hospital (OK) selects Merge Healthcare iConnect Enterprise Archive and iConnect Access. Eskenazi Health (IN) selects Streamline Health’s Looking Glass business analytics solutions. 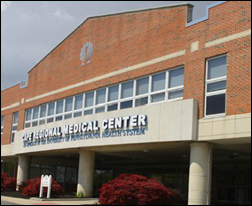 Cape Regional Medical Center (NJ) will implement Summit Provider Exchange to connect its multiple EHRs to the NJSHINE HIE. War Memorial Hospital (MI) will deploy the JEMS Telehealth System. Quantros names Annie Callanan (Systech International) as president and CEO, replacing interim J.P. Fingado. Steven Davidson, MD, MBA (Maimonides Medical Center) joins PatientSafe Solutions as CMIO. Impact Advisors hires Tonya Edwards, MD (Bon Secours Medical Group) as physician advisor. Dave Cannell (Deloitte Consulting) joins Cumberland Consulting Group as managing director of the company’s life sciences practice. Cerner names Rainbow Services, Inc. (KS) as the test site for its Community Behavioral Health mental health EHR. SSI introduces its A/Rchitect suite, which includes analytics, denial management, and contract management. Maryland’s CRISP HIE issues an RFP for a pilot to add image exchange to its query service. 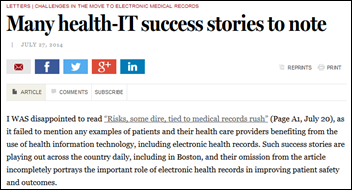 National Coordinator Karen DeSalvo writes a letter to the editor of the Boston Globe, saying that the paper’s story about EHR safety problems failed to mention positive EHR outcomes. She also pitches ONC’s proposed health IT safety center – the one Congress keeps saying ONC isn’t empowered to create. Baltimore startup Quantified Care, run by mostly Johns Hopkins graduate students and selling evidence-based mobile apps and hardware, starts a $15,000 Indiegogo fundraising (and PR-generating) campaign that offers an old-school but high-tech doctor’s black bag for a $300 contribution. A new Institute of Medicine report says that while taxpayers are spending $15 billion per year to pay for medical residencies and fellowships — much more funding than any other profession receives and giving hospitals cheap and obedient medical labor — the government imposes little accountability and the system is not producing the kinds of doctors needed. The report also concludes that the program overemphasizes hospital training, reflecting its 1960s-era origins in falling short on healthcare IT, preventative care, and chronic disease management. The report recommends making changes to Medicare regulations over the next 10 years to create a more accountable and performance-based system, then deciding at that time whether taxpayers should be funding graduate medical education at all. Schools of osteopathic medicine, which grant the DO rather than the MD degree but are otherwise nearly identical except for their emphasis on community medicine and preventive care, are producing a third of all new medical school graduates. Last year, 144,000 applicants competed for 6,400 DO school spots. Sixty percent of new DOs enter primary care vs. 30 percent of MDs. A CBS News report says that medical identify theft is “the low-hanging fruit” for criminals and is increasing dramatically because the healthcare system doesn’t protect their information and those whose identities are stolen don’t find out unless their bills go to collections. The article points out that the impact isn’t just financial – a patient could be given the wrong meds or blood products or have their insurance terminated. The article leads off with the story of a woman who almost lost custody of her children because a drug user gave birth using her identity. 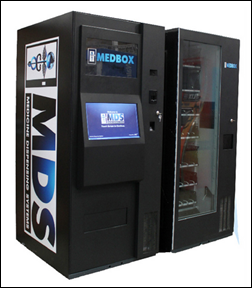 It’s a Pyxis for pot: Medbox obtains patents for its biometric-powered marijuana dispensing technology. The company offers related services that include armored car cash transportation. Weird News Andy notes “keeping cancer in the dark” as an animal study suggests that breast cancer becomes resistant to treatment with tamoxifen if the test subject is exposed to light at night, which suppresses melatonin production. ZirMed announces partnerships with JASE Health, HAS-Software, AmeriCare, medQ, and Scorpion Healthcare. University Hospitals (OH) expands its Premier relationship to include Premier Connect Enterprise as well as extending the supply chain services agreement for three years. Health Catalyst adds keynote speakers and sessions and expands the attendee limit for its Healthcare Analytics Summit 2014 September 24-25 in Salt Lake City. InstaMed announces that 70,000 healthcare providers have been paid through Member Payments since its launch one year ago. Predixion Software CEO Simon Arkell is named a finalist in the “Outstanding CEO” category of the Orange County Technology Alliance. Jen Reese shares how telemedicine technology is creating the need for doctors to have licenses in multiple states on pMD’s blog. Mr. H, Lorre, Jennifer, Dr. Jayne, Dr. Gregg, Lt. Dan, Dr. Travis. More news: HIStalk Practice, HIStalk Connect. It baffles me why people think “openness” is all about technology. As an integration services provider, our biggest hurdles are restrictive legal agreements around access to data in a vendor’s system, and extortionate “connectivity fees” to plug into an API, even when we are doing all the development work. Compared to those barriers, dealing with any reasonable API or data format is pretty simple. I would define an open system as one where any customer or vendor, even a competitor, can implement an integration to the system with no fees and a simple development agreement. Saying Soarian Financials are better than Cerner Financials is akin to debating the merits of the firing squad v. the gas chamber. All four leave you dead. I’m not sure I agree with Ken. Open doesn’t have to be free. Apple charges 30% of what ever an app maker charges to manage it’s App Store and contribute to it’s platform. Remember, devices are often subsidized by phone carries or now App Stores to keep costs down. Also, even Android (aka Google in all flavors) has a charge – it’s just baked into to advertising and rights to use your personal information in more creative ways that you could ever imagine. How do you think Google makes billions in revenue AND profit each quarter. If someone wants to plug into a platform that took years and hundreds of millions to create and ongoing R&D to keep up to date and current with technology, why shouldn’t they share in the revenue they enjoy from it? It’s silly to assume you can enslave the guy who provides the platform for you to profit from. We got rid of that along time ago. Why aren’t we asking the real question that we as American taxpayers should ask about both MU and the DoD and VA software selections? Let’s start a “made in America” campaign for the DoD EHR! Well, if you could do for politicians what you did for the HIT industry (i.e. transparency in a way to “out” the industry and move it towards more honesty and open discussions) maybe, just maybe, they would all sign up for your weekly digests and learn, yes learn, enough about this industry that affects so many millions of patients who are their constituency and eventually cast their votes in a cost effective way (oh yes, those are MY tax dollars!) to effect real change. Ken is right. The funny thing is that Cerner and Epic and all the other big vendors inter operate all over the country via CCD exchange, interfaces, and APIs. It’s more about the health systems demanding the vendors find a way to work together on an increasing number of nonstandard requests where data quality and integrity are never guaranteed, and the vendors don’t have much of a market reason to proactively develop across all versions and other variables. It’s not as simple as opening the gates when both vendors are left accountable for both the technical feasibility and the outcomes. Match a patient incorrectly or junk up your records with bad/inconsistent/non discrete data and IT just comes off as careless or incompetent. There’s a reason why areas with heavy standards have the best adoption. They may not be the most innovative or advanced, but at least they’re common ground to proactively work towards. I haven’t been directly involved in interop with Epic or Cerner, but it sounds like they’re trying to make “open” a thing by repeating over and over, similar to counting the word “cloud” in anything said about athena. Re Openness: John Oliver should take on the escalating openness / interop hyberbole as a feature topic for Last Week Tonight. Re CalPERS / HEP: Seems like a plotline from Dallas circa 1980. Expect to hear plenty from California pols and other public advocates on this. Should make for an “interesting” meeting, anyway. Re CGM CEO: “I call my vision 10-5-5-10.” Sounds more like “3-2-1-0.” The 10-5-5-10 thing sounds like a great internal program, but something like “We put our customers’ needs first and foremost” might be more useful (assuming they act on it). Re Siemens Health IT: What a stinky acronym. Regarding openness of platforms in terms of integration between vendors – I always thought it was humorous when people would denigrate Meditech’s products because they were built on “proprietary” technology. As you pointed out Mr. HISTalk, the technology has little or nothing to do with openness. No vendor is going to allow third party products to interoperate directly with their databases. Integration occurs on a higher level through standards which negates the need for direct interaction with the underlying databases. This is something Meditech does as well, if not better, than most vendors. Progress is being made on all of the above but it is far from complete. Exchanging C-CDAs is great but it only scratches the surface. In order to achieve interoperability, disparate systems have to be integrated. They have to be able to meaningfully share data and functionality real-time. All the systems need to play their part and the handoff of data and functionality has to be seamless from one system to another. Then we have interoperability. INTEROPERABILITY. One nationalized flat file database plug & play. Where can I find a MedBox? I’m in need of some all natural medication. What about this question – Who or what organization should demand that all vendor systems be open (defined as at least to support the latest CCOW level with necessary documentation)? What organization purports to be the leading advocate for IT in provider settings? That sounds like HIMSS to me. But when was the last time you saw a HIMSS announcement DEMANDING compliance with any standard. HIMSS only guides /recommends/ suggests…what they really need to do is require compliance -or the firm can’t be a HIMSS member or participate at HIMSS convention. Oh, sorry – I forgot HIMSS gets 98% of its money from vendors…never mind! My definition, if someone can go to a website and download the standards and protocol API, build and release open source software (according http://opensource.org/definition) that can pull and push all data into an EMR that the EMR’s own interfaces can without needing to pay any licensing to said company, then that EMR can be considered open to interface. Just save your energy and buy into the “flawless” world of Epic. Though you might want to stop by a MEDBOX dispenser first for needed euphoric support. Re: Cerner earnings call – We need to ask Cerner what they mean by “open” or “interoperate”. Obviously, they have HL7 integration but so does everyone else so that’s not it. They obviously aren’t open source; not even their customers can get the client side source code (they do have a source code escrow but that only kicks in if Cerner goes defunct). Most of their server-side code is written in their own proprietary CCL language so I would hesitate to call that open. Oh, are they talking about using proprietary technology? Which EMR vendor doesn’t use proprietary technology? Open standards? (What does that mean anyway?) What standards are they implementing that their competitors are not? HL7? CCOW? TCP/IP? Morse code? I would never claim the Apple app store is open, or that it claims to be. Completely the opposite. I would call most of Google open because I can write applications and provide them to customers, with no fees to me to do so and minimal legal agreements. Part of your argument is that the builder of the platform has invested heavily to build to the platform and is entitled to tax those who want to connect to it. My counterargument is that the data stored in the platform belongs to the customer, and they should be able to provide access to it to anyone they wish, without the platform vendor having veto power. Enlightened vendors in other industries have seen that if your provide a truly open platform, it greatly increases the demand for the platform and you generate more revenue from market growth.